Nothing is better than a good Aioli – and I reckon this is an absolute raw gem! 1/2 cup young Thai coconut water. This recipe makes about 2 1/2 cups and lasts for about 10 days in the fridge. I decided I would not get through that much so halved the recipe. Rather than using the blender – I actually used my small stick food processor as it works better with smaller quantities than the blender does. 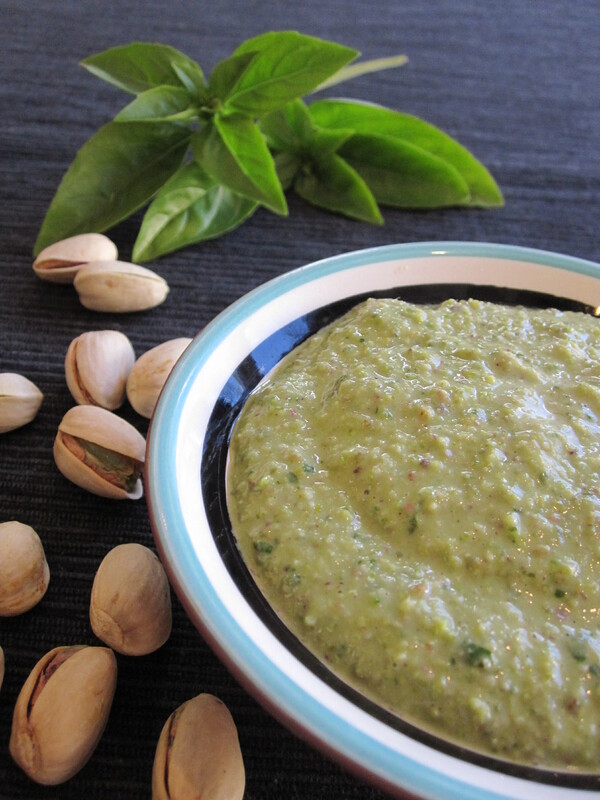 In a blender, combine 1/2 cup olive oil, coconut water and pistachios. Blend well and set aside. Then blend the basil, remaining olive oil, garlic and salt. Add the milky pistachio mixture and blend. If you like calamari or fish – this would also work well as a sauce. Tah Jenny Ross from your book Raw Food Basics.